P.J. 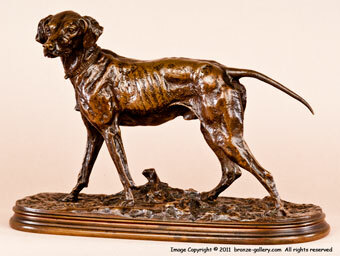 Mene did many sculptures of hunting dogs and this model of a Pointer Walking is one of his best works. This Pointer was cast in 3 sizes, this one is the largest size. He was done as just the dog alone, and with either a bird or a hare in his mouth. Pointers are one of the best hunting dogs and were very popular in the 19th century. They have been the subject of many paintings and sculptures. 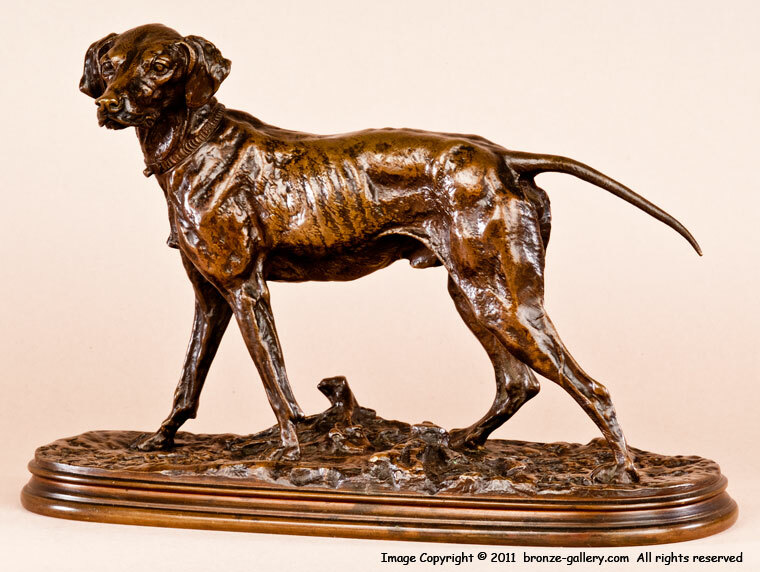 This bronze showed a lean well muscled dog and not a pet but a true working dog bred to run for hours on the hunt in the fields. Mene first sculpted this fine model in the 1840s, and the early casts had a flat rim on the base. Mene used a beveled rim on the bases after 1860, so this cast dates to the 1860s. 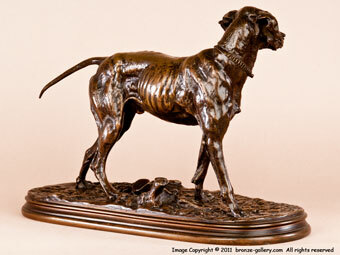 A fine sharp cast, it has sharp details and a rich red brown patina.